Like some of modern horror’s greatest achievements, this is a story of a fractured family unit gate-crashed by the paranormal. 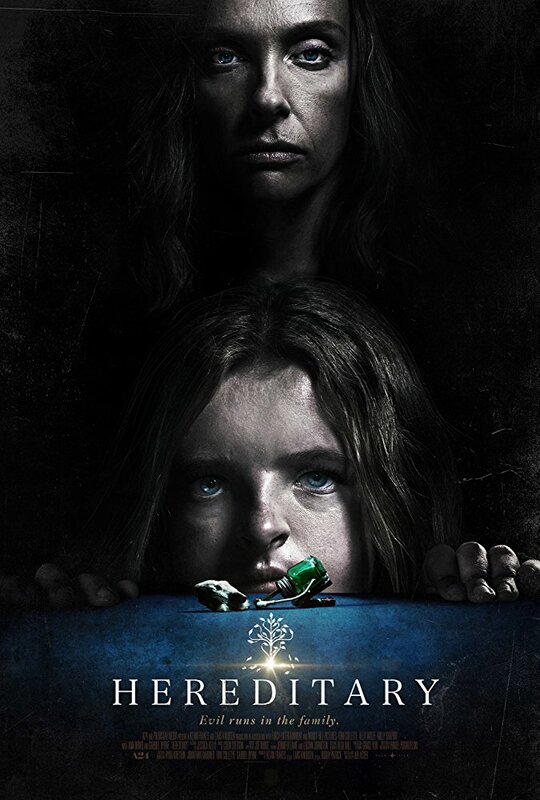 Following the death of her dementia-ridden mother, Toni Collette secretly attends bereavement groups due to a concern about not grieving appropriately, while a further tragedy sees her taking solace in chummy new friend Ann Dowd’s promise of a successful “live séance”. This study of grief operates from an emotionally wrenching dramatic base, galvanised by Collette’s astonishingly raw performance and the repressed rage and inner turmoil of the husband (Gabriel Byrne) who is meant to hold it all together. Early hints of the occult are fulfilled as debut feature writer-director Aster finds inspiration from American horror cinema’s benchmarks: the attic explorations of THE EXORCIST, the portentous flies of THE AMITYVILLE HORROR, the visual audacity of THE SHINING and the escalating paranoia of ROSEMARY’S BABY. It is a masterclass in sustained dread, claustrophobically confined to a few interior backdrops and wedded to an appropriately discordant, jarring original score. Aster walks a precarious tightrope between authentic family drama and unambiguous, overwrought horror, brilliantly realising that an unrestrained outburst at an all-too-credible family meal can be just as distressing to watch as the gruesome premature demise of a prominent character. 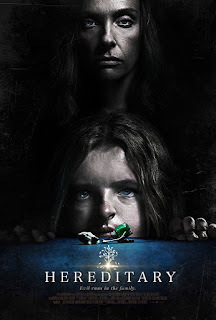 In the absence of the contrived jump scares that mar so much contemporary U.S. horror, the film finds equal discomfort in shadowy bedrooms and brightly lit classrooms, while shedding the ambiguities of the influential Polanski classic in favour of a full-on descent into unrestrained diabolism in the final half hour. Kudos for witty use of Judy Collins’ version of “Both Sides Now” for the end credits…and beware that a certain clicking noise will haunt your days and nights.